If you're looking for a all-in-one SEO tool that takes your SEO and digital marketing to a whole new level. Serpstat is affordable as well as accurate and can be a great alternative to SEMrush or Ahrefs for budget conscious bloggers and SEO professionals. Try it out to see if it is a fit for you. SEO tools are dime a dozen. Some are blockbusters (like SEMrush & Ahrefs) while others are plain flops. 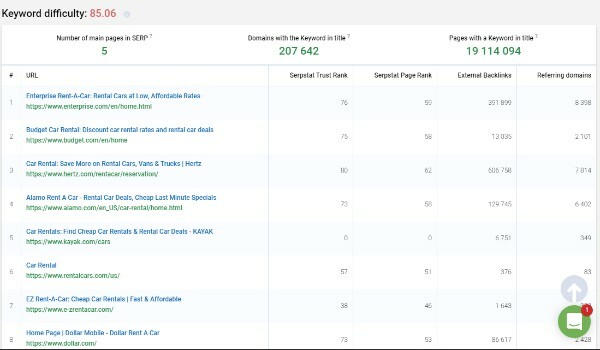 But then there are some other SEO & competitor analysis tools like Serpstat that find the sweet spot between usability & affordability without compromising with quality. In our Serpstat review (for 2019) we will see what the tool offers, what are it’s USPs and where it falls flat. I hope this helps you in deciding if it is worth your investment. Serpstat is an all-in-one SEO platform that will help you take care of your website’s SEO and improve your ranking. Unlike other SEO platforms who provide a few features and claim to be all-in-one SEO platform, Serpstat has a lot under its belt. It has all the features and tools you would need for your website’s SEO. This includes a rank tracker, backlink analysis, keyword research, site audit, and more. Serpstat has all the nuts and bolts of a good SEO tool (which is we recommend it as a perfect Moz alternative. Is Serpstat really good at what it does? To find this out, let’s explore the features provided in Serpstat to get a deeper understanding of how this tool works. As I mentioned above, Serpstat really has all the features you would require in an affordable SEO tool. 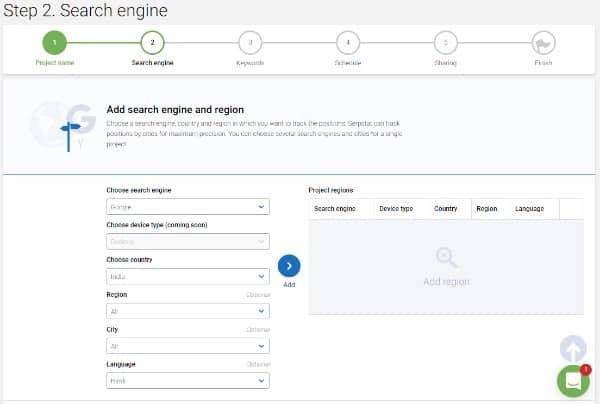 Serpstat is an all rounder tool that gives you everything from competitor analysis to keyword research, SEO analysis (site audits, rank trackers, backlink analysis etc) to PPC research and more. However, if you’re looking for Serpstat vs Ahrefs or Serpstat vs SEMrush you’re going to be disappointed. The tool is nowhere close to what SEMrush offers or Ahrefs for that matter. Having said that, I would not want Serpstat to mimic what Ahrefs & SEMrush offer anyways. Serpstat is an unique tool with it’s unique pricing plans that makes competitor analysis and running SEO agencies easier than ever. What’s more interesting about Serpstat is it is constantly striving to grow and offer more than you expect. They’ve expanded their Google databases from 20 in January 2018 to a whopping 230 database as of March, 2019. This shows they’re here to offer more. Not to mention their ongoing efforts to include databases for Amazon, Bing, YouTube and Yahoo! Let’s head on to the detailed review of Serpstat. The website analysis has two tools under it namely – Domain Analysis and URL Analysis. Under Domain Analysis, you can get all the information about a domain such as the organic keywords the website is ranking for, search engine traffic, keywords position distribution, and competitors. In a nutshell, you can get a clear view of how a website is performing on the search engine by performing a domain analysis. Visibility Score – This is a score based on how the website is performing on the search engines. The higher the score, the more visitors it gets. Search Engine (SE) Traffic – This shows the number of visitors a website gets per month. Though this score is not always accurate as it shows the traffic based on CTR. Organic Keywords – It shows the number of keywords a website is ranking for in the top 100 of Google. Apart from this, the Domain Analysis shows the positions of the keywords a website is ranking for. You can get detailed SEO and PPC research statistics about a website under Domain Analysis. There is also a batch analysis tool that lets you compare up to 200 domains at once based on some parameters. You can choose the metrics and search engines. URL Analysis is similar to Domain Analysis but it only shows stats for a particular URL. 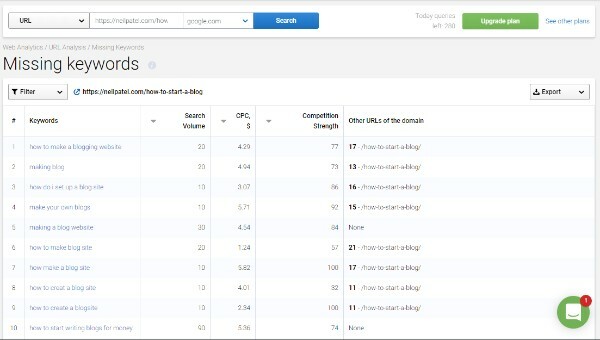 This is a great tool for analyzing a particular URL of your competitors. 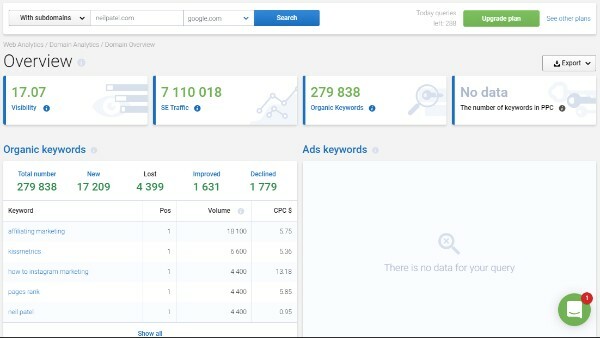 You can see it gives you the exact data of all the keywords that specific URL of Neil Patel ranks for. It shows the keywords of a particular URL is ranking for on Google. You can also check what these keywords are. URL Analysis also shows the competitors of the URL. The best feature of URL Analysis is the Missing Keywords feature. Missing Keywords show you the keywords that the competitors are ranking for in the top 10 but are not present in the page you are analyzing. This presents a great opportunity to check what keywords your competitors are not targeting so that you can target and rank for them. Overall, the Website Analysis tool provides an in-depth look at a website’s traffic and the keywords it’s ranking for. Using Serpstat’s Website Analysis tool can definitely help you spy on your competition and outrank them. I really love the Keyword Research tool by Serpstat. It’s definitely not the best but it’s still great at helping you find keywords that you can rank for. 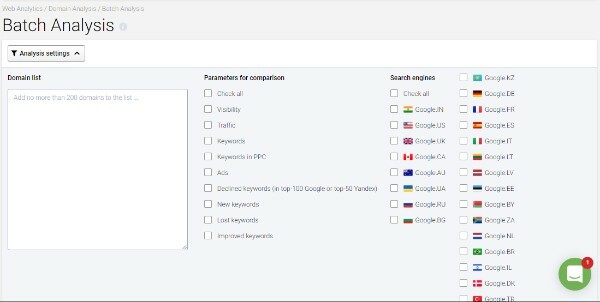 Just like any other keyword research tool, Serpstat shows you the search volume, competition, CPC, and keyword difficulty for the keyword you enter. The keyword difficulty is not very much accurate (that’s why I still prefer KWFinder for keyword research) but it still gives you an idea about how difficult a keyword would be to rank. 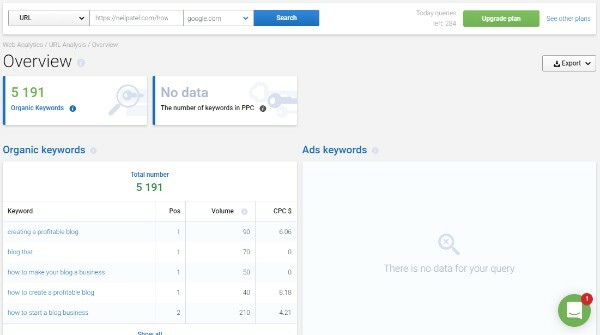 The tool shows the organic and the ad or PPC keywords. 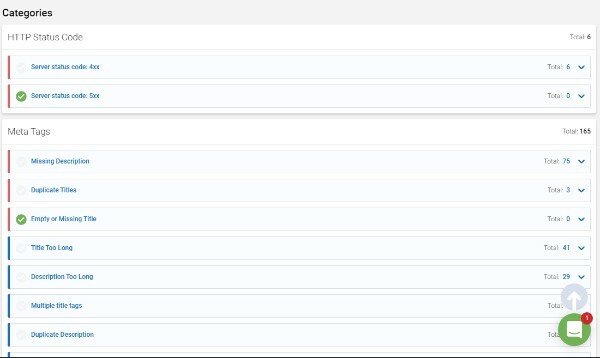 It also shows the pages currently ranking for the keyword along with their number of backlinks and referring domains. If you’d prefer more info like domain authority or are used to Ahrefs’ DR & UR feature this might take some time but you’ll get a hang of it eventually. Serpstat also shows a competitor graph showing how competing domains are. This is one of my favorite feature to get a bird’s eye view of who’s where. A perfect report to present clients to give them an idea of their site’s SEO game as compared to others. Lastly, there is also a Search Questions feature that lists all the interrogative search suggestions for the keyword you enter. These question keywords are essential part of your keyword strategy because they help you answer questions that your potential readers are asking online. It also increases LSI keywords and chances to rank for featured snippets for question-type searches. It is safe to say that the Keyword Research tool by Serpstat is great at providing a detailed analysis of a keyword. 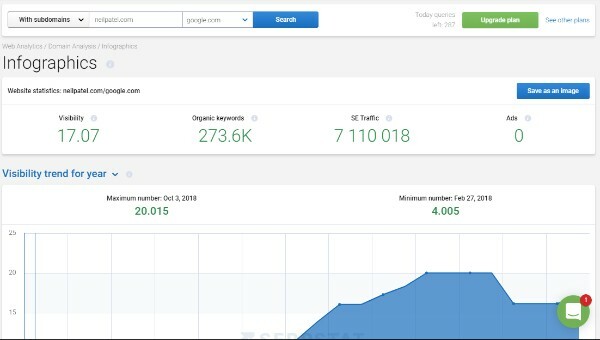 The Backlink Analysis tool of Serpstat shows you the backlink profile of a website giving details about the number of backlinks, referring domains, follow/no-follow links, link type, and more. There are graphs that show the referring pages over the course of 120 days. You can see similar graphs for new/lost backlinks and referring domains. You can go deeper into the tool and take a look at the backlinks and filter them by time. The tool shows both new and lost backlinks. Serpstat gives you the option to export this data which is easy for reporting clients. The tool also shows the anchor text for the backlinks and the top pages with the number of backlinks on that page. The rank tracker tool lets you track the position of your pages for the keywords you choose. To start with rank tracking, you will first have to create a project. 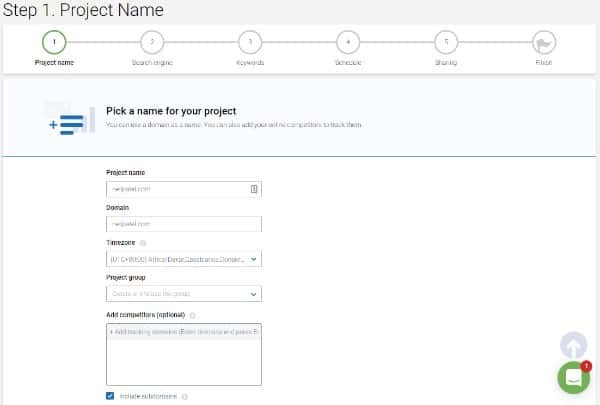 First, enter your project name, domain, and other additional information. The next step is to choose the search engine along with the region. You can add multiple regions. 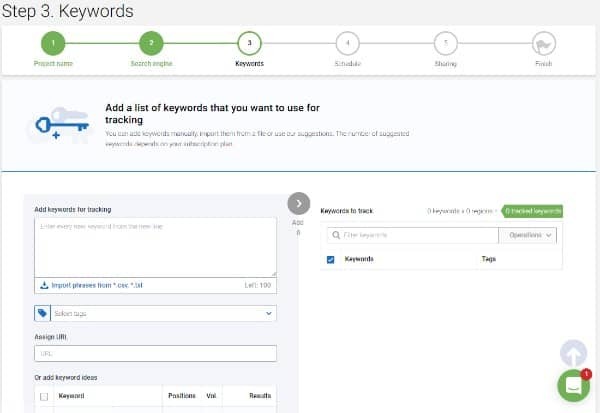 Now, you have to enter the keywords that you want to track. You can add up to 100 keywords or even import keywords. You can select tags and assign a URL to your keywords. The 4th step is to select a schedule for the tracking process. You can choose from daily, every 3 days, and every 7 days. Serpstat also allows you to invite users to your project for rank tracking. It is perfect if are having a SEO team or a virtual assistant to look over your keyword performance. Once your project is created, you can view it and see the positions along with how your competition is sharing the traffic. In my usage during this Serpstat, I found Serpstat is pretty neat with rank tracking. 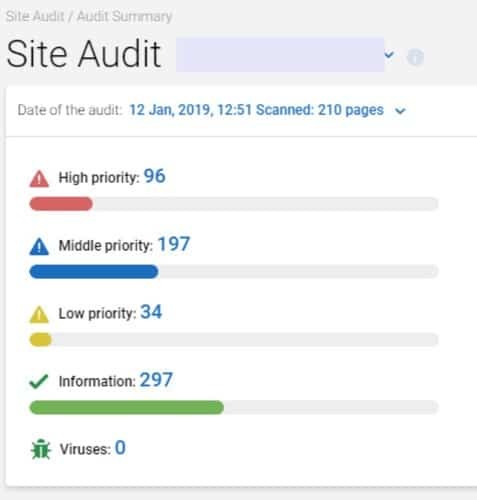 Site audits are very essential to see your site’s health score, mistakes and tips to correct them. From on page SEO performance to site resources (JS & CSS etc), you get to see how everything is performing and what you need to do to fix them. …I tried Serpstat’s site audit feature (because I own a lifetime usage deal of Serpstat) and it was nothing short of good. The tool does a brief site audit of your website and shows all the errors that you might have overlooked if you had used any other tool. The site audit gives an overall score to your website based on the number of errors and problems it found. It also shows the errors according to the priority. The best part about the whole site audit as it clearly shows the crucial site errors (like missing meta tags, https status codes etc) that need to be fixed. The audit checks the headlines, meta tags, redirects, loading speed, and other technical aspects of your website to give you a detailed report. You can also export the whole report in the form PDF in case you’re dealing with clients. Our review of Serpstat wouldn’t be completed without mentioning some other useful tools offered by it. There are two additional tools namely – Keyword Quality Control and Keyword Clustering. Setpstat’s Keyword Quality control tool checks for the keyword you entered in the Serpstat databases. Meanwhile, the Keyword Clustering tool groups similar keywords in your projects to a group. This helps you avoid the repetitive task of creating groups for keywords. Currently, both these tools are in beta mode. Serpstat Pricing: Is Serpstat Worth The Money? Serpstat offers two pricing plans –Personal and Business (each comes with their own sub-plans). The Personal plan offers 4 plan options – Plan A, Plan B, Plan C, & Plan D. Prices range from $15.2 per month to $239.20 per month when paid annually. The business plan, on the other hand, starts at $499/month and goes up to $2500/month. These plans are suitable for you if you run a business or are an agency who deals with many clients. Plan A (under personal plan) being the cheapest offers the least features and that’s why Plan B with 4000 queries per day is the best way to go. At $15/month (with Serpstat discount of 20% when paid annually), I think Serpstat is a really affordable tool considering the number of tools and features it includes. You can get a if you pay annually for both the personal and business plans. This tool can help you move to an all-in-one platform for managing all your SEO work and will help you ditch a bunch of tools that you use for different purposes. Serpstat brings all the features under one roof. You can sign up & try Serpstat for free and test whether this tool is right for you. The Serpstat free trial plan allows a limited number of queries but it still is very good for testing out the platform. Now that we’ve discussed everything about this tool, let’s take a look at the pros and cons of this tool. Includes all the tools you would require for SEO. Affordable price considering the value it brings. 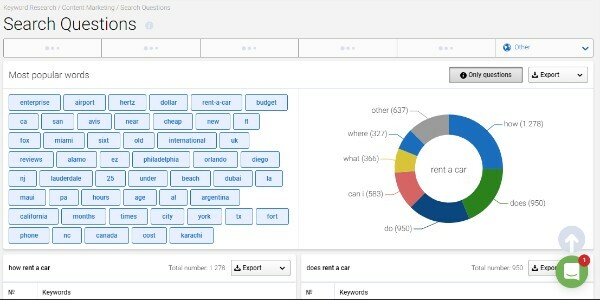 Unique features such as Missing Keywords & Keyword Clustering. 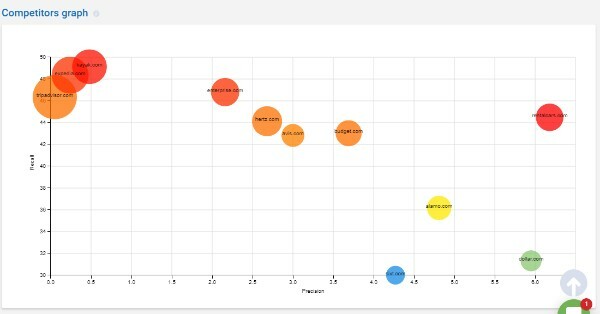 Detailed reports with great visualizations. Site audit takes time for websites with a high number of pages. Keyword difficulty could be inaccurate sometimes. So, these were the pros and cons of Serpstat. As you can see, there isn’t much to complain about Serpstat. It’s a really good all-in-one SEO tool. But, should you buy it? Final Verdict: Is Serpstat Worth It? 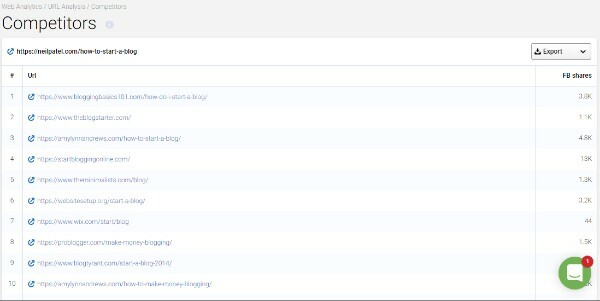 Dollar for dollar, Serpstat is a great tool for bloggers on budget and SEO professionals who want to perform client SEO with an all-in-one tools. Serpstat is the best affordable SEO tool out there and it’s definitely worth the money. The price to value ratio for this tool is very high. Serpstat starts at $15/month and you can even avail Serpstat free trial to see if it’s a good fit for you. I hope you liked our Serpstat review. If you’ve any questions or feedback about Serpstat let’s discuss about them in the comment section. I believe that every tool has its own strategy which you going to get a piece of accurate information but most of the tools offer in a paid version. Some tools like KWfinder and Semrush offer limited free usage with the same accurate information which we get in the paid version. If I am not wrong. Now what I want to ask you is when it comes to new bloggers those who are struggling and trying to train them self to best in blogging which would you suggest. Paid version or free version and why? One more question is comparing with Mangools tool Vs Serpstat which one is better to understand and easy to use. I read this article from starting to end and had just one question since beginning that Why should anyone use this tool if we have tools like ahref & Semrush which are way better than this. I know you mentioned that it’s nowhere to both. But question remain same till end when you mentioned price of it, that’s affordable for anyone who just began and want to do audit of website. I still wanna hear from you, If you were asked to choose between Ahref & SERP Stat which one you will go with and why ? The answer to your first question is in your comment itself. Pricing is the main reason plus it does have some unique features that the other two don’t have (it’s good to be unique instead of mimicking). I would choose depending on situations. As I have already mentioned Ahrefs is my favorite I would still choose Serpstat when on a tight budget.